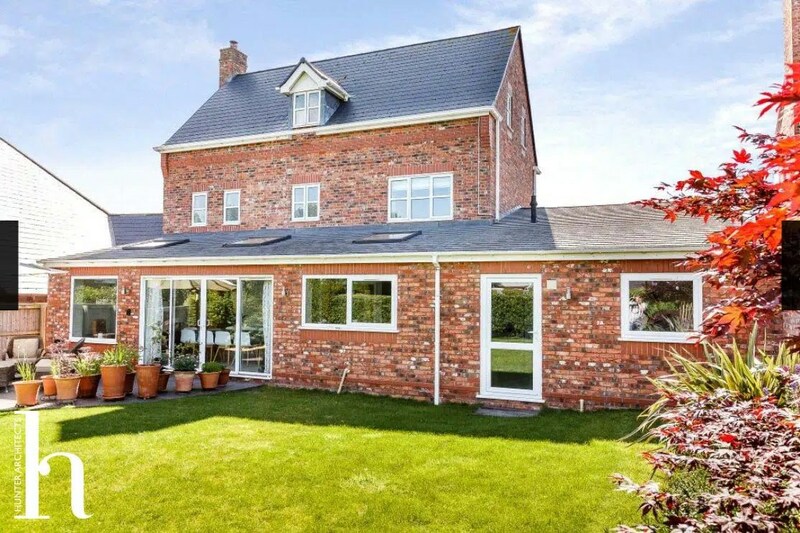 Our clients had recently purchased a, relatively new, new build executive family home on a new estate. However as there was only a series of cellular reception rooms and small kitchen a family room extension was required. 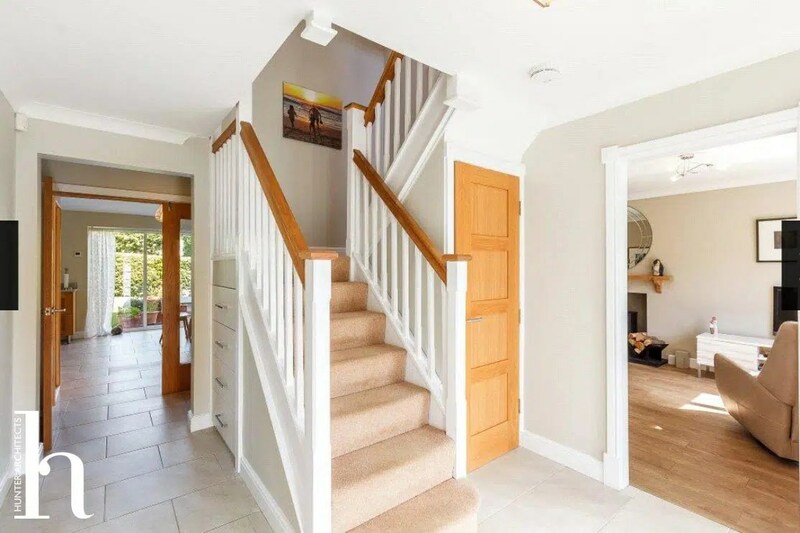 The brief called for a remodelling of the ground floor of the property to create a contemporary family room extension, with good links and views to the garden, good daylighting and to create better links to the existing living room. As part of the project, the existing garage was rebuilt with a new utility room, and gym added behind to provide additional space and services for the kitchen. As with many new build speculative homes, garden space was at a premium so careful design was required to provide the maximum space but with the minimum impact on the garden. Externally the design of the family room extension reflected the materials and details of the existing house so that the composition and arrangement as a whole worked as one. 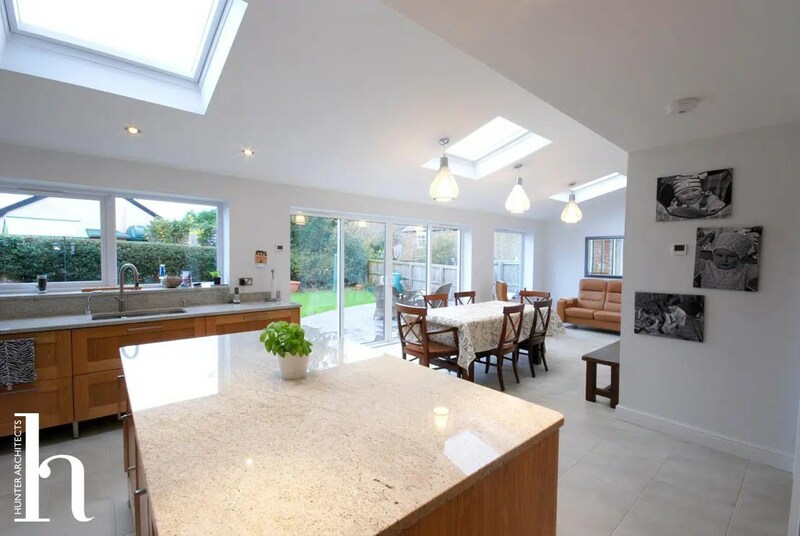 The larger proportion family room extension required a taller ceiling height than, and therefore a vaulted ceiling, with several rooflights was added to the room. 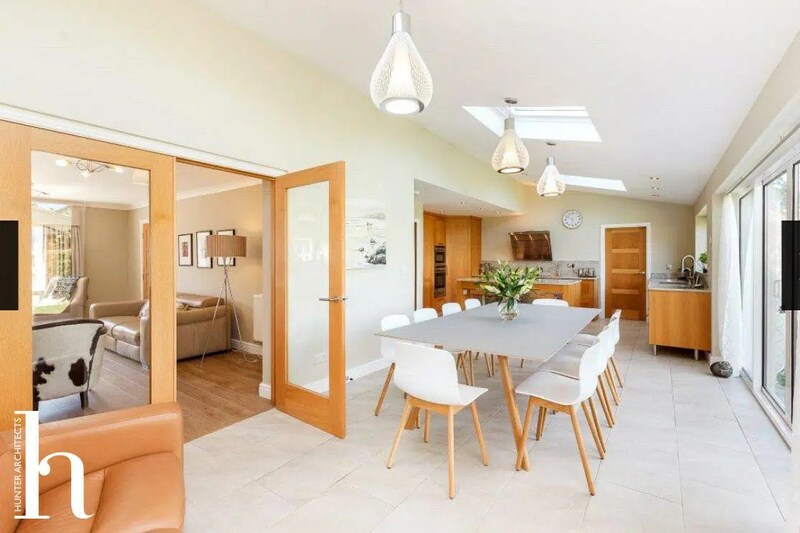 The existing access to the kitchen was through a small doorway and as part of the project, this was opened up with a large set of glazed doors which gave a view of the garden from the front door. 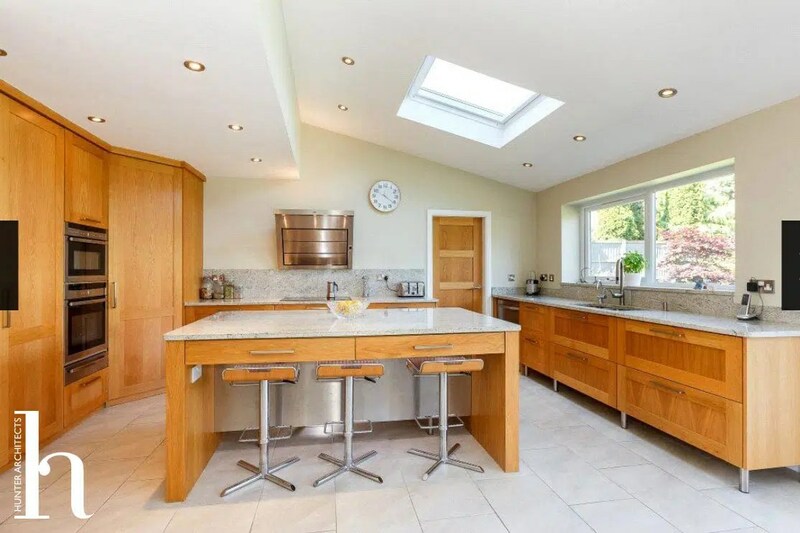 Features: Kitchen extension; better links to garden, roof lights. Contemporary design. Formal living room. Family Room Extension.